A phase-change material (PCM) has two crucial characteristics: 1) a high enthalpy of fusion; and 2) a specific (narrow) temperature range in which the material melts or solidifies. IRM's Indrastat line of products offers industrial and scientific users the ability to select a wax according to their specific requirement. IRM has carefully calibrated the heat of fusion and density of each of our products, enabling us to give you the answers you need for your unique product design. We provide customers with considerable flexibility in their choice of the right phase-change materials. 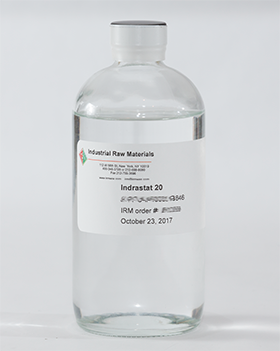 How does it work: IRM's Indrastat products store (and release) energy (in the form of heat) as they undergo their transformation from solid to liquid (and vice versa). Our products have a high enthalpy of fusion and narrow phase change temperature ranges: such products are "efficient" phase change materials. High-performance and precision applications of PCM's are found in automobiles, marine engines, and heating and cooling systems of many types. When you need precise temperature control, IRM's Indrastat products give our customers an indispensible tool.